THE huge mushroom cloud soared skywards, the captain was gripped by fear, believing his plane was about to be engulfed by the fall-out from a nuclear explosion. After declaring mayday and ordering his crew to don oxygen masks, the experienced pilot had the presence of mind to record that the cloud measured an estimated 200 miles in diameter and was tipped by an eerie light, like nothing he had seen before. Eventually, it soared harmlessly into the atmosphere, leaving the passenger jet to continue safely on its journey from Anchorage, in Alaska, to Tokyo. But far below, a fleet of fishing boats trawling the sea between Japan and the Soviet Union was drenched by a violent but short-lived downpour before the weather suddenly cleared. 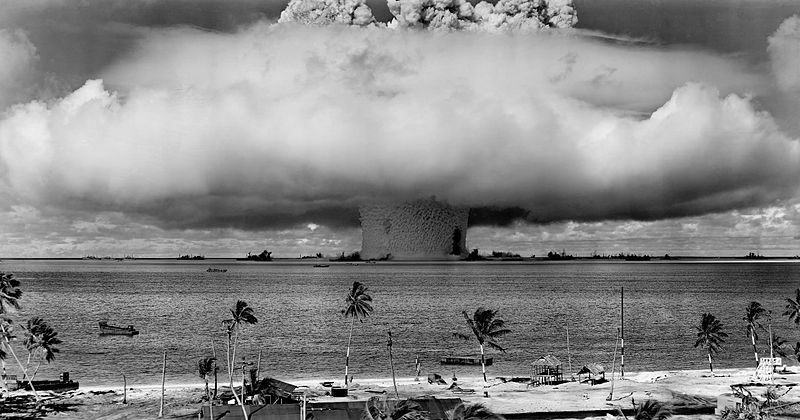 Nuclear tests and volcanic activity were later ruled out but scientists concluded that this was not a natural phenomenon. More than two decades later suspicion still exists that the stunned airline crew and fishermen in 1973 were witnessing a sinister Cold War experiment, in which water from the Sea of Japan was blown into the air to create clouds and rain. Russia’s HAARP – Weather Modification? or Research Station? According to many people from Russia I have spoken with, every year at the May Parade in Moscow’s Red Square, if the weather is not nice they will turn these Giant Tesla Coils on and clear out the skies. 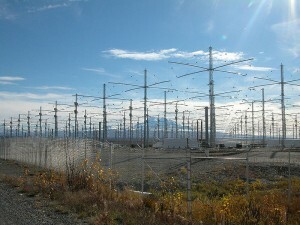 Did The USA use HAARP or Scaler Weapons on Russia??? After looking at all of the available information the question still remains, can man control the weather in any significant way? 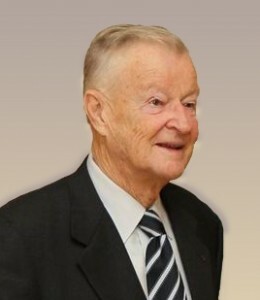 Brzezinski wrote the above statement in 1970. Senate hearings were held in 1974 to investigate weather control during the Viet Nam War. . . . In 1977 the members of the United Nations joined in supposable ending weather manipulation of weather for aggressive purposes. . . In 1995 General Gordon R. Sullivan stated, The technology is there, waiting for us to pull it all together” . . . In 1997 United States Secretary of Defense William S. Cohen stated “Others are engaging even in an eco-type of terrorism whereby they can alter the climate, set off earthquakes, volcanoes remotely through the use of electromagnetic waves.” — [Note he stated “Other ARE engaged in” meaning currently] . . . a study was made for the US Air Force which reached the conclusion, the Air Force will Own the Weather by 2025. . . and in 2008 China claims to have controlled the weather for the Olympics. And Haarp is doing sometng!Combined with all of the other information available, which I’ve only covered a small portion thereof, I think the evidence speaks for itself. While I don’t believe that the government can control a storm such as the one called Ike. I am afraid all they need is time. Watch for Part 4 in this series: THEI Special Report #4: Is Hurricane ISSAC Conventional Weather or is it just plain ol’ conventional weather?